Derived from the Four O'Clock Flower (mirabilis jalapa), this daily moisturizer calms, hydrates and strengthens skin, particularly skin that is sensitive or reactive. Light and fast absorbing, it soothes redness while deeply replenishing, nourishing and rebuilding skin. A complex of botanical lipids improves texture and elasticity while helping to restore skins protective barrier. Green Tea and Chamomile extracts help neutralize free radicals and calm skin. Probiotic lactobacillus and D-beta Fructan soothe and help support skin's defense system. 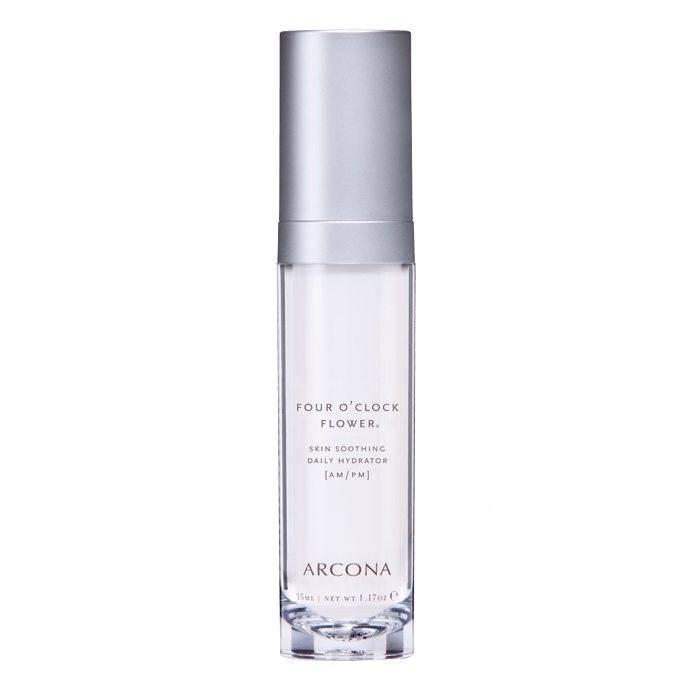 Used regularly, our Four O'Clock Flower hydrator gives your skin a soft suppleness with a healthy, more youthful glow. Use daily: Apply 2–3 pumps to clean, dry skin in AM and/or PM.